• Full spectrum of primary and secondary care including family medicine, pediatrics, gynecology and occupational medicine. 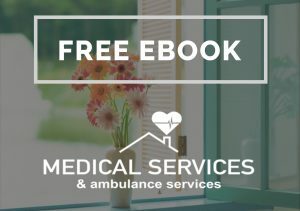 MedicalServices LTD was founded to address the need for professional home healthcare as well as home personal care and Ambulance services in Cyprus. In Cyprus many people do not have the care they need and deserve, due to the high prices and their inability to visit the hospital. Our aim is to provide all the people with the care they need and deserve at the convenience of their home and at the time they need it. Medical Services LTD is dedicated to providing the highest standard of health care available using the latest diagnostic and therapeutic protocols from United States and European Union. We are committed to providing evidence-based medicine, practiced by the best trained clinicians available, in a clean, safe facility, where quality-assurance is paramount, using a Western patient-centered delivery of care system. Milada is a registered nurse and has a working experience of 15 years as a surgical assistant in operating theatres in both Cyprus and Czech Republic. She received her Bc. title in nursing care and her MBA in management and medical enterprises. She is now studying for her PhD-University of Applied Management and working on different projects for leading companies in Cyprus as well as in the foreign market.